For Safer Internet Day 2018, Webwise Ireland launched a new educational resource called Be in Ctrl. This new post-primary resource was created in partnership with An Garda Síochána. The ‘Be In Ctrl’ teaching resource was developed to support teachers as they address the topic of online sexual coercion and extortion. 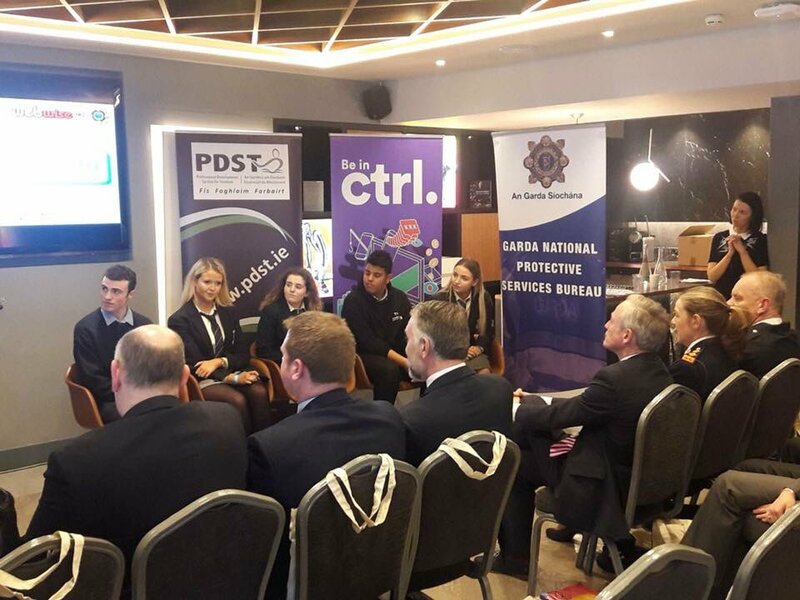 The launch consisted of a series of talks from PDST, members of An Garda Síochána and a Youth Panel Discussion with our MC for the event Jess Kelly from Newstalk. Read our Youth Panelist Siofra’s account of the day, here. As part of this campaign, we asked our Safer Internet Day Ambassadors and Youth Panelists to get involved. Together, we created a campaign video giving advice of how young people could #BeInCtrl of their online lives. This positive message campaign was really successful and was shown at the launch of the resource, along with a Youth Panel Discussion. See the video below. #BeInCtrl >>> Safer Internet Day 2018 from PDST Technology in Education on Vimeo. 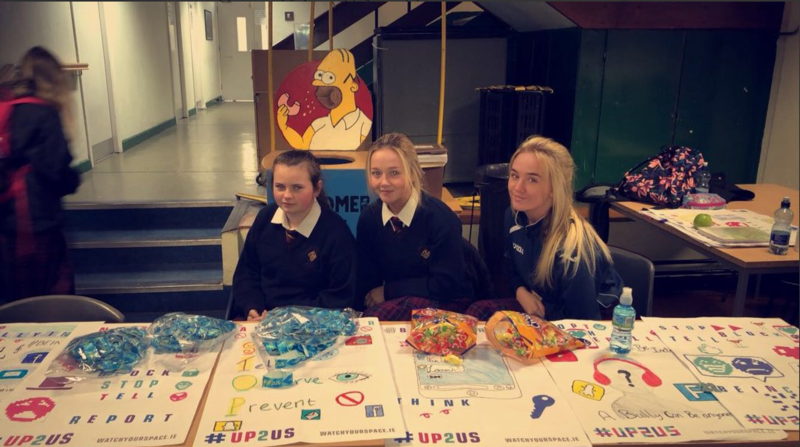 Safer Internet Day was celebrated on February 6th 2018 in Ireland and in over 130 countries around the world. This year saw our highest number of participants to date. Across Ireland, there were over 475 Safer Internet Day events in schools and organisations involving more than 102,000 people. This year we saw a wide range of activities taking place from hosting workshops to cart-wheels, topics being addressed across the country include image-sharing, screen-time, social media use, fake news, net neutrality, cyberbullying and much more. Young people have come up with some wonderful ideas for Safer Internet Day 2018. Here’s just a small taster of how schools, youth groups and organisations across Ireland marked Safer Internet Day. Safer Internet Day Around Ireland 2018 from PDST Technology in Education on Vimeo. 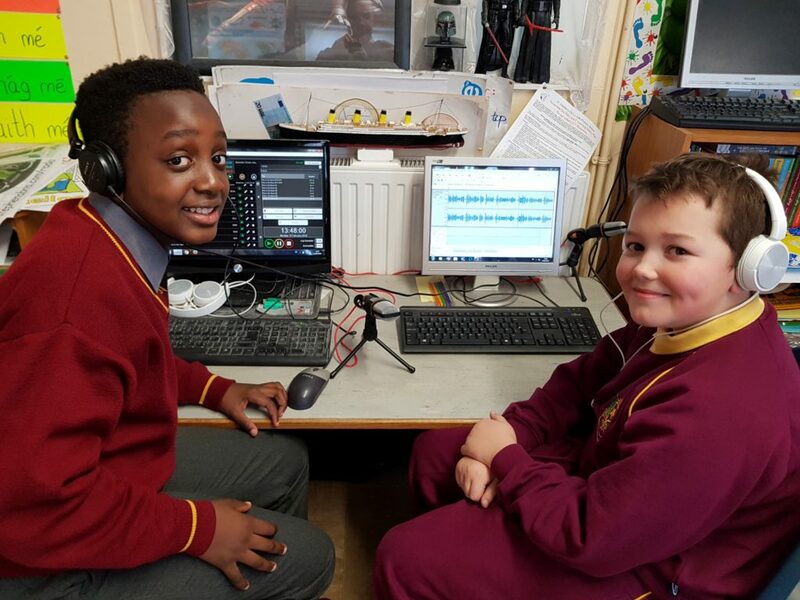 To mark Safer Internet Day, the pupils of Mr Russell’s 5th class in St Stevens De Salle National School, in County Waterford, created a special E-Safety broadcast on their class radio show. The show discussed digital footprints, personal information, cyberbullying, fake news, and copyright. The pupils also highlighted the resources we have on our website. We learned a lot from them and want to saw a huge congratulations on such a great show! 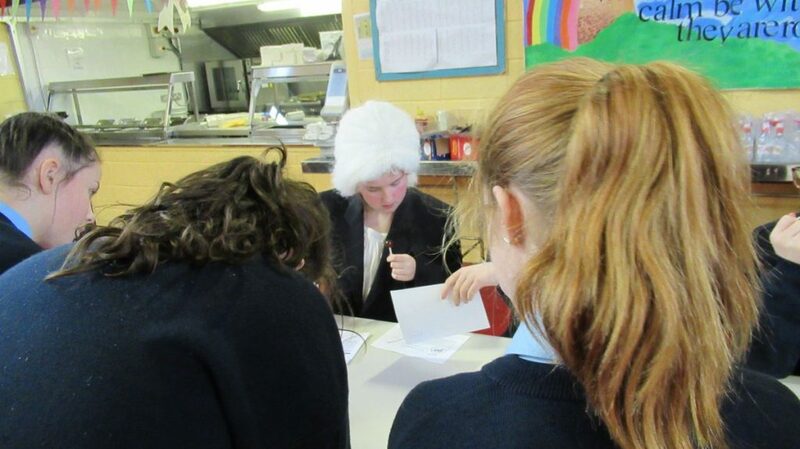 The pupils of Ardscoil Mhuire in Limerick brought our Granny Rule to life as part of their Safer Internet Day celebrations. They learned all about thinking before you post and ensuring that your Granny would approve before posting online. We loved the costume and granny coming to life! Lots of partners, organisations, and companies got on board for Safer Internet Day too! The Better Internet for Kids (BIK) project, delivered in partnership with the Insafe network of Safer Internet Centres, released their new and updated Online Safety MOOC (Massive Open Online Course) on Safer Internet Day 2018. The funding was provided by the European Commission’s Connecting Europe Facility (CEF). This MOOC is aimed at teachers wanting to know more about online safety so sign up now! Cybersafe Ireland launched a new leaflet for parents on how to talk to children about technology. They also released the results of their annual survey on children’s use of the internet. GoogleForEducation showcased their new resources at the NAPD Online Safety Symposium in the run-up to Safer Internet Day: a primary level game called Interland and a Digital Citizenship and Safety course for teachers.